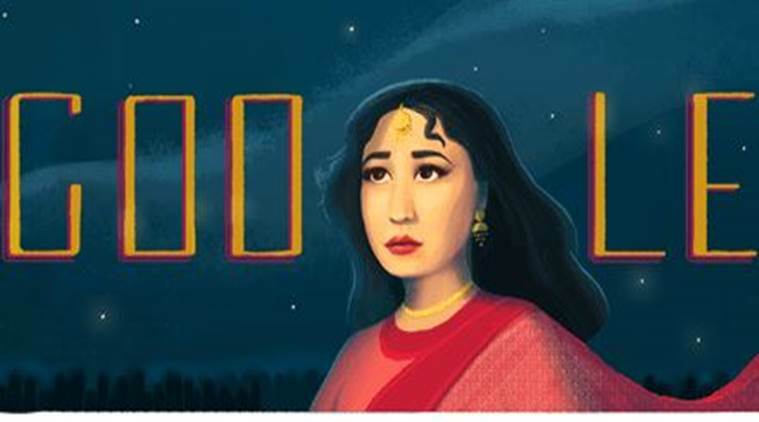 Meena Kumari was remembered by Google on Tuesday, which dedicated its latest Google doodle to the legendary Indian film actress, singer and poet under the pseudonym “Naaz”. Born on August 1, 1933 as Mahjabeen Bano, she is popularly known as Bollywood’s original Tragedy Queen. Her father was a Sunni Muslim named Master Ali Bux who had migrated from Bhera (now in Punjab province of Pakistan). Meena Kumari’s mother Iqbal Begum, whose original name was Prabhawati Devi, was a Bengali Christian converted to Islam. She was born into a family of poor theatre artists and started acting at four. Her persona was so versatile that she was regarded as “historically incomparable” actress of Hindi cinema by Indian film critics. The actress starred in about 92 films in a career spanning 33 years. Some of her notable films include Pakeezah, Baiju Bawra, Parineeta, Sahib Bibi Aur Ghulam, Foot Path, Dil Ek Mandir and Kaajal. She won four Filmfare awards in the Best Actress category. She made history at the 10th Filmfare (1963), by receiving all of the nominations for Best Actress and won for her performance in Sahib Bibi Aur Ghulam. The actress got married to filmmaker Kamal Amrohi in 1952 secretly in a simple “Niqah” ceremony. The couple never had children of their own, though Kumari willingly and happily accepted Amrohi’s children from an earlier marriage. Film critics say that the resulting emptiness and incompatibility of the relationship culminated in Kumari taking to alcohol. Both were separated in 1964 and the actress’ health deteriorated as her reliance on alcohol increased. Meena Kumari breathed her last in a nursing home on 30 March 1972 after the release of her landmark film Pakeezah. Besides being an iconic star of Hindi cinema, she was also a poet of great flair and delicacy. Kumari’s greatest hallmark was her ability to depict the struggle of Indian women especially in the 50’s and 60’s. Onscreen, she was a perfect example of a traditional Indian woman (Bharatiya Nari), as described by the Hindi film fraternity.